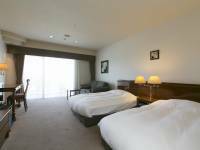 A well-established hot spring hotel 5 minutes walk from Akame 48 Falls. It is famous for its melt -in-the-mouth lga beef sushi and ' ninjutsu-nabe', a stew cooked at the table, with which you can enjoy the flavors of 4 kinds of meat. 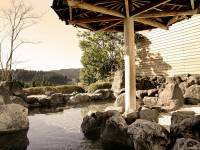 A hotel featuring a hot spring and delicious cuisine nestling in the woodlands at the foot of the Akame 48 Falls. All guestrooms are semi-detached and the sound of the river flowing by and the serenity of the woods soothe the guests. A secluded resort surrounded by the abundant water and greenery of the Aoyama Highlands. 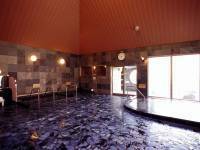 It boasts one of the largest natural outdoor hot spring baths in the area. A publicly-owned hotel with a hot spring which is well-reputed for its beauty effect of smooth skin. Spend a quiet moment in the land of nature and history. This resort offers lnaka Tourism - experiences that utilize the features of local nature and countryside such as the lse Honkaido historical highway walk, star-gazing and picking seasonal produce, all of which are only available here. A lakeshore hotel located on high ground looking down over Lake Shorenji. It boasts an open outdoor hot spring bath that looks out over the lake. 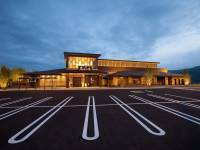 A resort offering a wide range of facilities such as a large herb garden, hot spring baths, beauty treatments, beauty & health programs and a golf course.